Jessica O’hara Baker in the lead role of Ann Trow Lohman, alias Madame Restell. 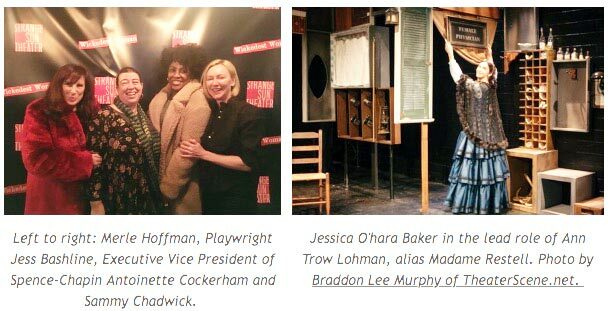 Photo by Braddon Lee Murphy of TheaterScene.net. 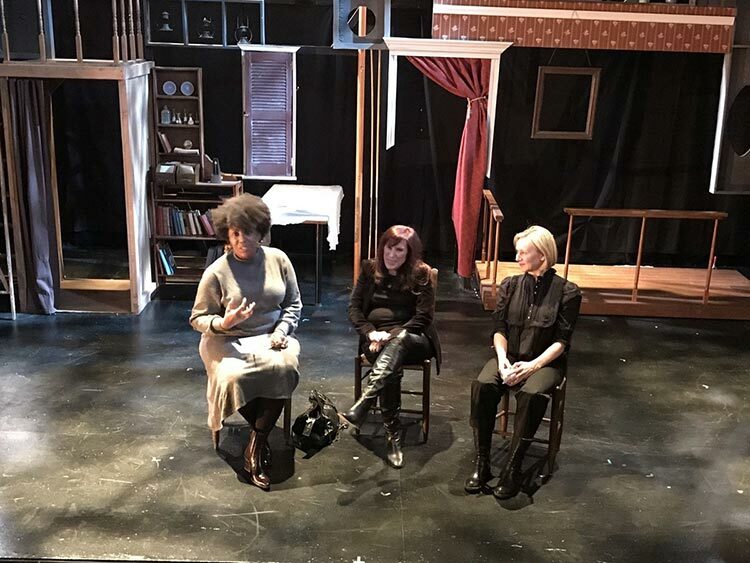 On January 31st, Merle Hoffman and Choices Women’s Medical Center attended Wickedest Woman, an original play by Jessica Bashline. Wickedest Woman tells the story of Ann Trow Lohman, an entrepreneur, midwife, abortionist–and eventually, a millionaire–who lived in New York City in the 1800s. 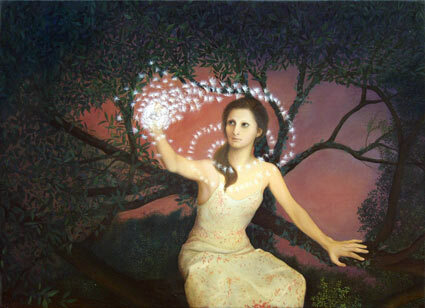 Using the alias “Madame Restell,” Ann began performing abortions legally in 1838. After a 40-year career, abortion had become illegal making her life’s work criminal. To avoid prison, she killed herself by slitting her throat at age 68. Choices CEO and founder Merle Hoffman and Executive Vice President of Spence-Chapin Antoinette Cockerham led a post-show discussion on the 31st. 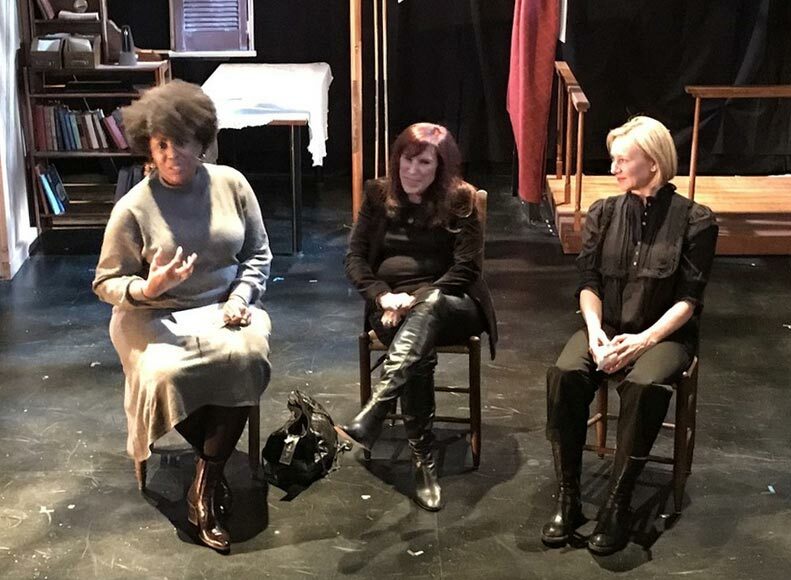 They discussed what it’s like to be modern crusaders for controversial topics like abortion and adoption and the parallels between Ann’s life and Merle’s. 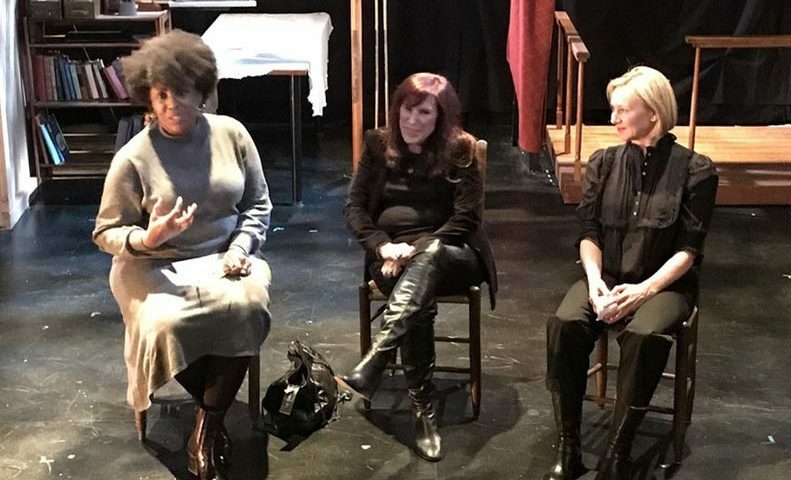 Merle Hoffman (center) shares her thoughts on the story during the post-show discussion. Livia Abreu, Erika Christensen, Merle Hoffman. 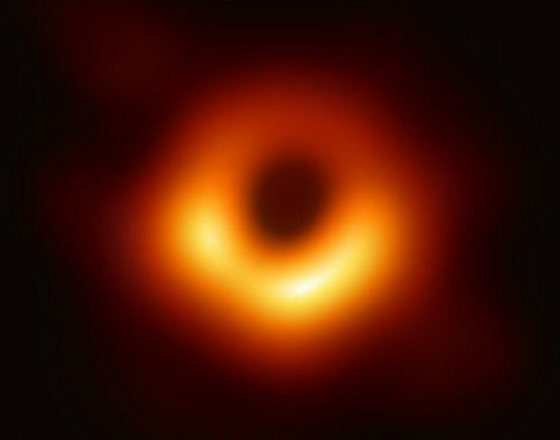 Photo by BBC. Ms. Hoffman notes that many of the women who seek late-term abortions either didn’t know they were pregnant for a long time, or experience complications in an originally wanted pregnancy. 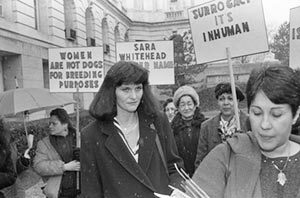 Ms. Hoffman describes New York in the early 1970s as an “oasis” for women seeking abortions before Roe v Wade, and sees a parallel with the state’s decision to implement the RHA. Ms. Hoffman is also keen to point out that only around 1% abortions in the US happen after 21 weeks. Also, check out Choices’ most recent blog post “The New Reproductive Health Act (RHA) in New York State – What Does it Mean for You?” for more information. Three New York Times columnists debate abortion. Michelle Goldberg picks apart conservatives’ response to efforts in New York and Virginia to expand access and argues that even ostensibly limited restrictions are part of a broader quest to criminalize the practice, “there’s a reason why people end up waiting too long and there’s a reason why people end up with money troubles, and it’s because a restrictive series of abortion laws ends up pushing women into the second trimester,” Goldberg said. 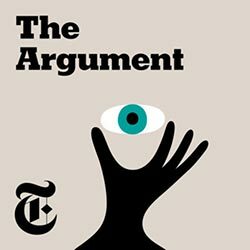 Ross Douthat thinks that in most cases abortion is too abhorrent to remain legal and teases out the various arguments within the wider anti-abortion movement. “There’s just a larger argument here, right, where what is at stake is the question of whether a fetus is human and what kind of rights it has…Abortion is too abhorrent to be, in most cases, legally permitted” Douthat said. And David Leonhardt notes that abortion ranks among the political issues on which Americans appear to be genuinely split. “For me the most agonizing part of this, it’s around technology and it’s around something that starts to get close to eugenics,” Leonhardt said. 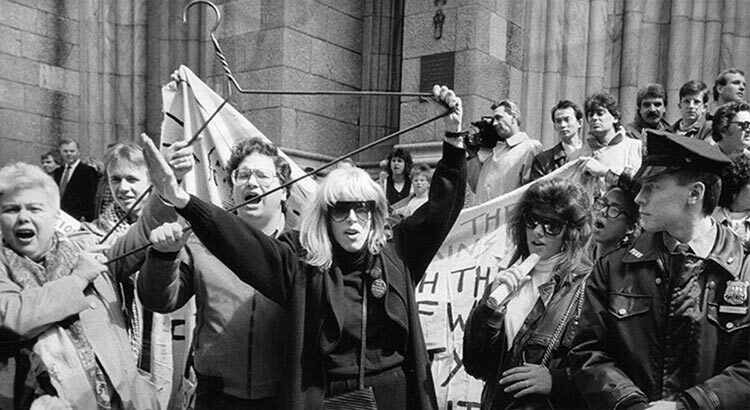 Mary Beth Whitehead joins a group of women demonstrating on her behalf on March 12, 1987, after the lawyers in the “Baby M” custody case delivered their summations. Commercial surrogacy may soon be legal in New York State. New York Governor Cuomo is supporting a bill that would legalize the practice of paying a woman to carry a pregnancy and give birth to a child unrelated to her biologically. Called “The Child-Parent Security Act,” it is included in a Budget Bill soon to be voted on by the NYS Assembly. 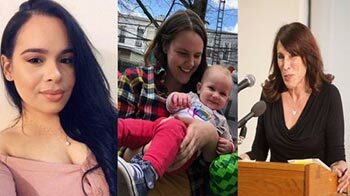 New York has banned commercial surrogacy for decades, ever since a controversial and heart-wrenching battle in 1985 when a New Jersey woman, Mary Beth Whitehead, who had agreed to be a surrogate, changed her mind after giving birth. Whitehead, financially strapped, had been paid $10,000 to be inseminated with sperm from William Stern, whose wife, Elizabeth, might endanger her life if she became pregnant. Whitehead wanted to give back the money and raise “Baby M” (as the child was called in the media) herself. The Sterns refused. The story was widely reported, and Whitehead was brutally treated in the press for breaking her contract and scrutinized mercilessly as to whether she would/could be a good mother. But where the egg comes from – who it’s “owned” by – isn’t the main problem here. Long-time feminist activist Phillis Chesler, author of the book Sacred Bond: The Legacy of Baby M, got to the heart of it when she told NBCNews.com that commercial surrogacy is “baby-selling, baby-buying and slavery.” Read complete NBCNews.com article here. 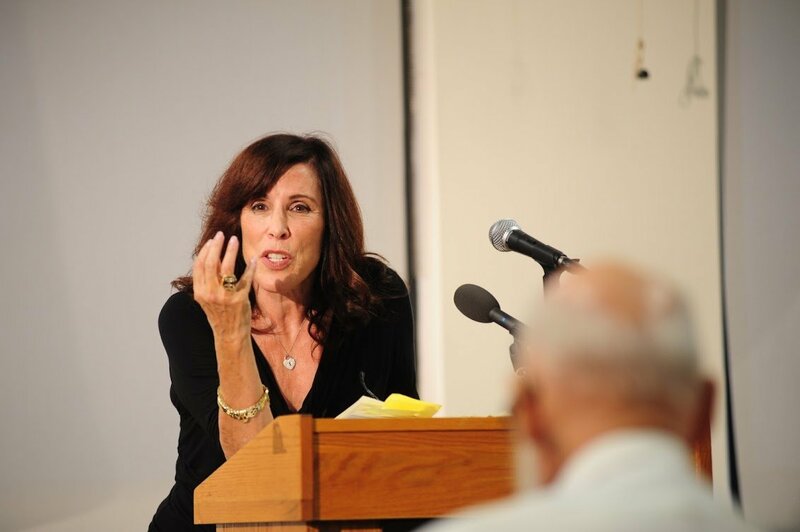 Choices Founder/President Merle Hoffman saw deeper issues concentrated in the case and wrote an editorial for On the Issues Magazine, “Two Faces of Motherhood,” . Published in 1987 it rings with the realities of 2019. “Between the confirmation of anti-choice Justice Brett Kavanaugh to the Supreme Court and the victories of anti-choice legislation in the midterms, 2018 was not a great year for abortion rights in the United States. Media representation of abortion this past year, however, was a different story. According to a new study, there was an encouraging increase in diverse fictional depictions of abortion last year. 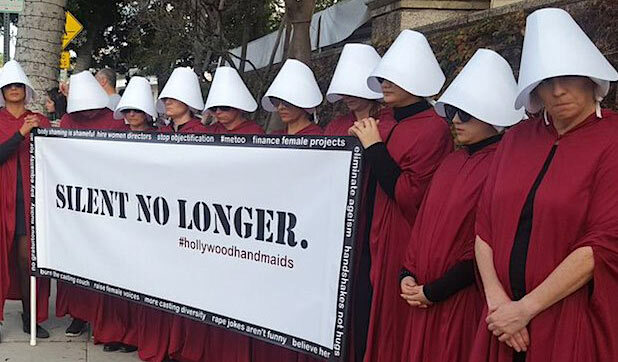 The study, conducted by Advancing New Standards in Reproductive Health (ANSIRH), found that 18 television show plotlines featured a character who has an abortion, discloses a past abortion, or considers getting an abortion. 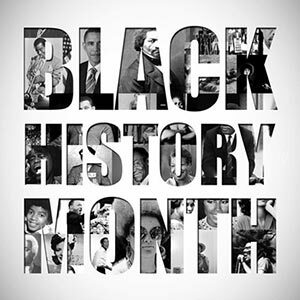 “Female genital mutilation (FGM) is a practice that involves altering or injuring the female genitalia for non-medical reasons, and it is internationally recognized as a human rights violation. More than 200 million girls and women alive today have been cut around the world and around 68 million girls may be cut if efforts are not accelerated to end this harmful practice. UNFPA, New York, 2018. 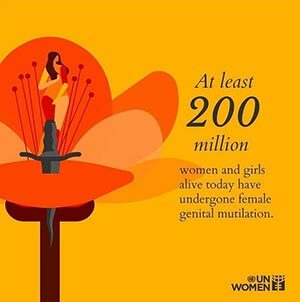 On February 6, 2019, the International Day of Zero Tolerance for Female Genital Mutilation, the alternative media movement Dysturb partners with UNFPA, the United Nations sexual and reproductive health agency, to present “Female Genital Mutilation: 68 Million Girls at Risk”, an exhibition of photographs at the United Nations headquarters in New York and of mural-sized paste-ups in the streets of the city.